A movie about bad guys that got worse reviews had a great opening weekend. "Suicide Squad" shook off a shellacking by critics to nab $135.1 million at the North American box office this weekend. That makes the film the biggest August opening ever. The movie, from Warner Bros. and DC Entertainment, didn't just break the record -- it blew away the previous record-holder, "Guardians of the Galaxy," which opened to $94.3 million in 2014. "Suicide Squad's" opening weekend total is the third highest of the year behind two other comic book films: Marvel and Disney (DIS)'s "Captain America: Civil War" and Warner Bros. and DC's other superhero film, "Batman v Superman: Dawn of Justice." Still, the number was a bit below analyst expectations, which had it in the $140 million range. 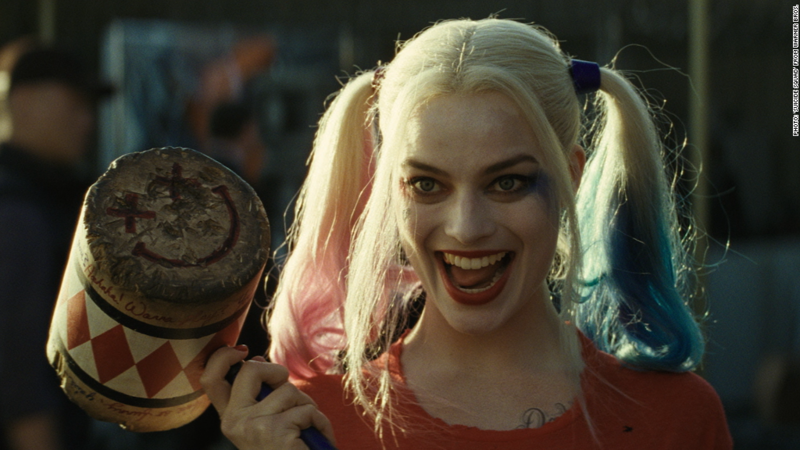 The film, which stars Will Smith, Margot Robbie and Jared Leto as some notorious comic book bad guys, was arguably the most anticipated film of the summer. 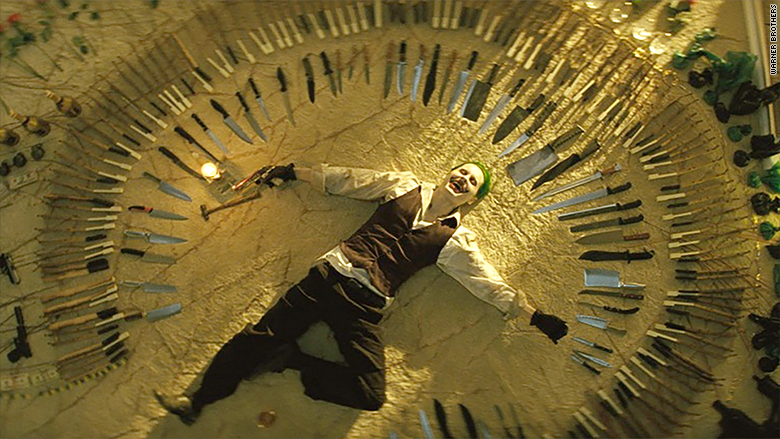 Jared Leto's Joker and "Suicide Sqaud" laughed their way to a big box office for Warner Bros.
"Suicide Squad" has a dismal 26% score on review site Rotten Tomatoes, but it appears that audiences, much like Leto's Joker, laughed off those reviews. Box office success for "Suicide Squad" was vital for Warner Bros. (which, like CNN, is owned by Time Warner (TWX)) after the mixed reaction to "Batman v Superman." Both films are part of the studio's DC Extended Universe of films based on the brand's comic characters, which it is trying to build into a Marvel-like cash cow. While the opening is a big win for the studio, the coming weeks will be important for the film's overall totals and the success of the franchise. "Batman v Superman" also opened to record numbers when it premiered, but tapered off at the box office as weeks went on, likely due to bad word of mouth.